Photo of a traditional bedroom in San Francisco with beige walls, carpet and white floor. Mid-sized contemporary bedroom in Adelaide with carpet. Design ideas for an eclectic bedroom in New Orleans. Our Barcelona platform bed captures the spirit and drama of late 20th century design with a variety of subtle details. It is entirely handcrafted of solid Mahogany in a tiger mahogany finish. Designed for use with a mattress alone, it includes a sturdy, padded wood platform for comfort and proper mattress support. The headboard is available in your choice of the standard 36" height or a taller 40" version for thicker mattresses. Phillip Jefferies grasscloth wallcovering finishes the walls above beadboard wainscot. 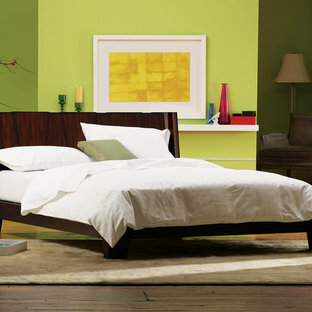 A fully upholstered Norwalk Furniture bed is centered between two Bungalow 5 Ming nightstands. The textured table lamps are from the Arteriors Home line. The botanical artwork is by Paragon Picture Galleries and accessories available locally at Fast Buck's at Home Key West. 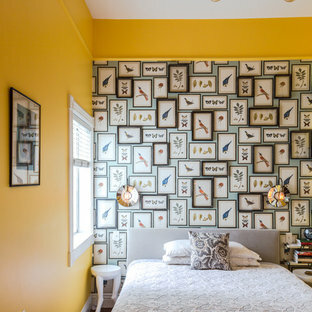 Inspiration for a mid-sized eclectic master bedroom in San Francisco with yellow walls and medium hardwood floors. By Brian Dittmar Design, Inc. 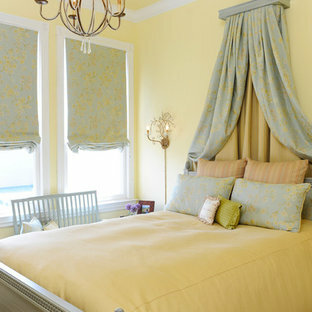 This is an example of a traditional bedroom in San Francisco with yellow walls. This is an example of an eclectic bedroom in Boston. Photo of a transitional bedroom in Moscow. Photo of a contemporary bedroom in St Louis. 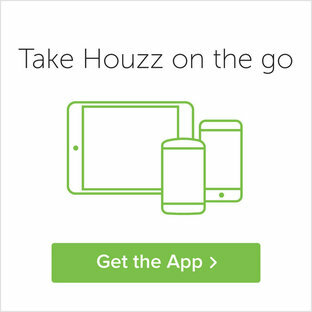 Photo: Corynne Pless © 2013 Houzz A russian boar sits above a small wooden dresser. 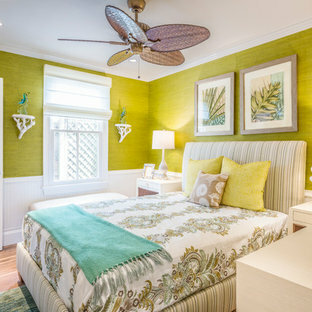 Photo of a beach style bedroom in New York. Design ideas for a mid-sized contemporary master bedroom in Sydney with white walls. Inspiration for a small eclectic master bedroom in San Francisco with yellow walls and medium hardwood floors. 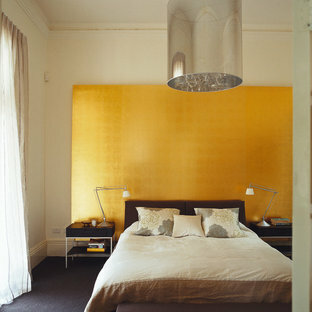 Inspiration for a contemporary master bedroom in Florence with yellow walls. 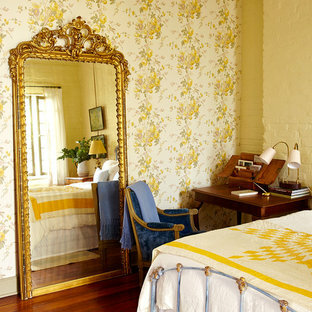 Inspiration for a country bedroom in Moscow with yellow walls.